WELCOME TO THE SAINT ANDREW CATHOLIC SCHOOL ROBOTICS TEAM WEBSITE! WE ARE THE "RoboCats" !! Saint Andrew Catholic School initiated its "RoboCats" robotics team on May 16, 2014 with a parent-student meeting in the gym. Many thanks to Dr. Scheer, Nolan's robotics coach, and his ROBOVIKES (Kyle Griffith, Antonio Araujo and Zach Wempe), for attending and helping us get started. Seven teams were formed and entered into the FIRST LEGO LEAGUE during the Fall of 2014. This included 55 students from grades 5-8. Beginning in 2016, we invited 4th graders to join the fun. Robotics introduces and reinforces the cross-curricular goal of STEM (science, technology, engineering and math). In addition, participants learn to work together as a team and solve problems. This program would not have been possible without our wonderful mentors from Nolan Catholic High School. Their high school robotics knowledge and experience are a great help! We hope that our RoboCats will continue in robotics after they graduate from 8th grade and move on to high school. Saint Andrew parents and grandparents also make huge contributions to our success by coaching, mentoring and supporting our teams. Jesus, we pray to you for your guidance. … help us to realize the special talents and abilities you have blessed us with. … help us to learn together along with our high school mentors, teachers, coaches and parents. … help us to praise You through “Gracious Professionalism” and “Coopertition”. … also, Lord please help us to Honor You at all times with our words, actions, thoughts, teamwork and effort. St. Albert, patron saint of scientists … pray for us. St. Isidore, patron saint of computer scientists … pray for us. St. Patrick, patron saint of engineers … pray for us. St. Hubert, patron saint of mathemeticians … pray for us. 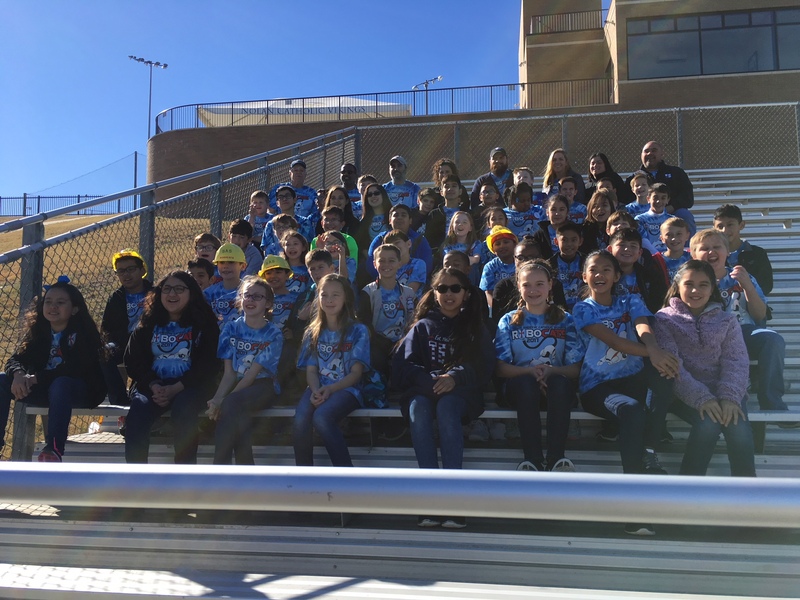 The Saint Andrew Catholic School Robotics Team (the "RoboCats") participated in their 4th FIRST LEGO LEAGUE season in 2017-2018. The FIRST LEGO LEAGUE Global "HYDRO DYNAMICS" Global Challenge was released on Tuesday, August 29th at 11:00 am. This defined what teams try to build, program, research, present, and solve. Teams and their coaches quickly got to work in prepartion for the December 9 Qualifier Tournament at Nolan Catholic High School. December 9th was a full day, with check-in at 7:30 am and closing ceremonies at 4:30 pm. It was a great day for everyone of our teams. They represented Saint Andrew well displaying team work, core values, "coopertition", positive attitudes and smiling faces. Many thanks to Mr. Ray Depta, Nolan's "Robovikes" coach, and all the volunteers who organized a well-run tournament!